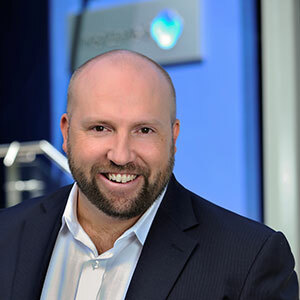 Mid-sized businesses in Australia are embracing the cloud at an increasing pace today, as a means of deploying business applications faster and more efficiently to stakeholders. 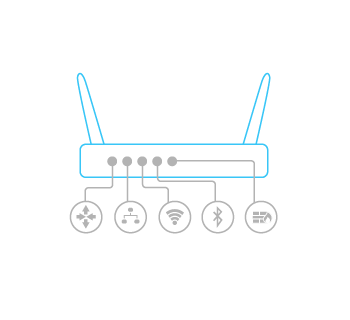 DSL or Ethernet connections between all sites, with any to any connectivity between the users at each location. It was internally-focused and contained. 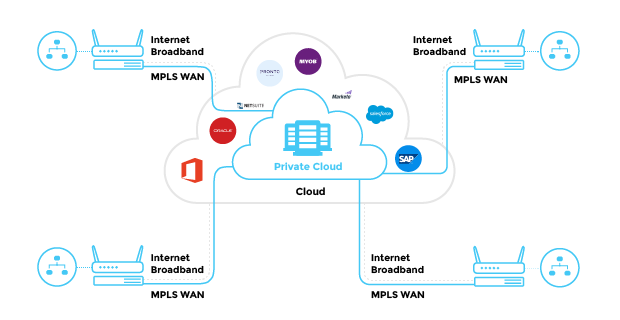 MPLS and QOS are, for simplicity, tools to help business network managers handle the performance, privacy and prioritization of the different business applications and data across the Wide Area Network (WAN) between their sites connected to their Local Area Networks (LAN) at each location. This design evolved again with the advent of the Internet-based business services. To make that connectivity secure and adequately protect the network, we limited Internet connections to a minimum, which were usually at one or two sites with a firewall employed to permit, inspect and block network traffic as needed. Download the PDF version of this article to save it directly to your computer for sharing or printing. This change allowed for much greater security and helped protect the business’s intellectual property. Users at every other site accessed the Internet through the centralized firewall gateway site. With the advent of high-speed bandwidth, low-cost access options exploded. High-speed broadband started with ADSL circa 1 Meg/sec and, over time, moved to ADSL2+ up to 15 Mbs. 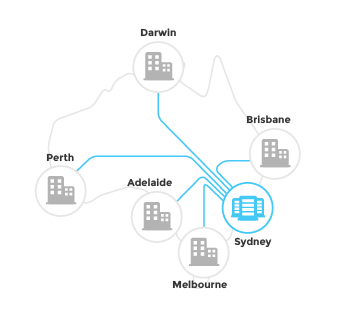 Cable broadband provided 40-80 Mbs and, for those with NBN, 100 Mbs is now possible and up to 1 Gig/sec available for business NBN and dark fibre services. Throughout time, the challenge remained the same. How do companies deliver application functionality and data to stakeholders more effectively…? 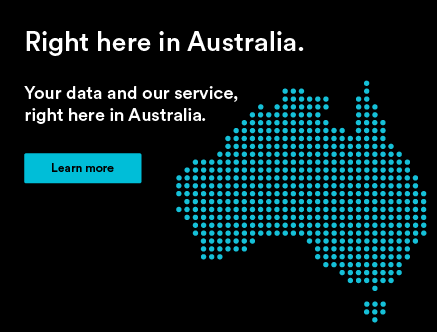 In the early days, Internet bandwidth was very expensive and slow, especially over the vast distances between Australian cities thousands of kilometres apart. Application developers designed simple applications that kept data transmission to a minimum and avoided graphical interfaces. The explosion of Internet bandwidth has changed this, and applications are now much richer in functionality – full of multimedia (video, chat, pictures, etc.) and rich graphical interfaces, all of which require lots of bandwidth. The big problem with application deployment traditionally was that it needed a significant amount of capital to buy the application and then it was slow to build and slow to deploy to users. It was also usually expensive to support, requiring constant upgrades, customisation and maintenance costs. Software vendors realised that they could simplify things. They could do all the running, support, and modifications better than the individual businesses. Combined with high-speed broadband, the software vendor could put the application in a data centre and deliver the functionality to the different businesses via the Internet. They also designed the application knowing it would be delivered over the Internet, and they would continually upgrade and maintain their infrastructure to ensure a positive user experience. This is what we know today as Software-as-a-Service or SaaS. Now business has a new way to buy software that is simpler, faster to deploy and scale, and more predictable cost-wise (i.e.,$X per user per month). 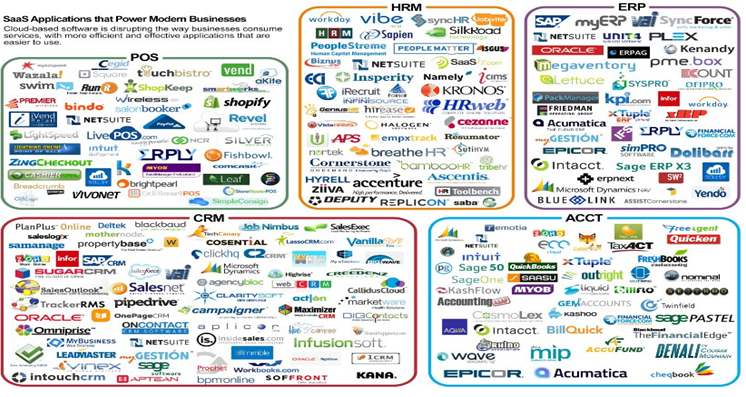 As depicted above, the order of which applications are shifting to SaaS are often firstly i) A focus on revenue generating apps, like a CRM system, and the reason they being shifted is because the SaaS provider can maintain and look after the application better than you can, including things like bug fixes, availability, patches and compliance. Once the data is in the SaaS provider you then the second driver of adoptions is ii) Gain access to the ecosystem of other SaaS providers who have specially developed their apps to work with each other. 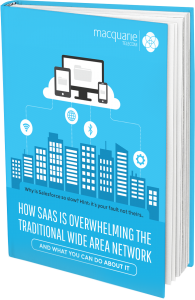 For example, 19 SaaS providers have developed plugins to work with Salesforce. And finally it allows you to iii) Bypass traditional business processes that have evolved over time in your business by developing new methods for your customers to interact and transact with your business. While SaaS has proven to save money for a given functionality in most cases, most businesses justify SaaS by the fast ‘deploy, scale, move’ model. Gartner, the IT industry analyst, predicts that 75% of all traffic running on business networks will be SaaS applications by 2017. What that really means is that 75% of applications will reside in a data centre remote to the traditional corporate network. We are certainly seeing this trend play out in the thousands of business networks we manage today. The majority of applications in a company are no longer in the network – they are in the cloud. 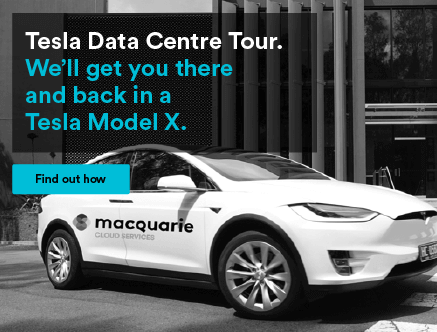 As a carriage provider, we have to find a way to bring the cloud into the heart of the network, along with your internal data centre that will continue to serve those legacy applications. Going beyond Software-as-a-Service, there is also an entire ecosystem of “as-a-Service” emerging, which becomes available to your business once you embrace SaaS and the cloud. Here are two quick examples. First, your fixed-line IP voice services can be delivered as-a-Service, where each site just has handsets and the rest (i.e., the PBX and value-added services such as unified communications) can be delivered from the cloud. The second example is mobility solutions, where the mobile devices remain with very broad choices and all the back-end processes, carriage and services are provided “as-a-Service”. In my 21 years in telecommunications talking to mid-sized businesses, I’m happy to say that right now there is more innovation in technology than I have ever seen at any time before. All of which plays to the business and IT needs of a mid-sized business. Until relatively recently, to connect a site with a LAN you needed a number of devices, often with a unique OS and hardware/software maintenance schedules. The good news is that all these devices can be merged into a single management interface and virtualized functionality. Previously, each site had a LAN switch connecting all the local users. Today you have got to have Wi-Fi – a big cost-saver, fast to deploy, and critical to the way we work today. you needed a router or two based on the importance of that site. And if that site had an Internet connection you also had a firewall or two for your security gateway needs. Added to that mess you also often needed a WAN optimization devices to account for the poor application performance of running apps that were primarily designed only to work over a LAN. Because of the associated risk and complexity of security technology, plus the required expertise to run it, mid-sized businesses generally kept Internet connections to a minimum, usually a single site. Each of the technologies in these devices evolved over time, which meant that you would most likely have multiple vendors, each with their different management interfaces. A network administrator had to log into each device, and often, one simple change would have a cascading effect and require changes to all devices. Most of these technologies are pretty mature today, and finally almost all these features are available in a single appliance, managed via a single interface. 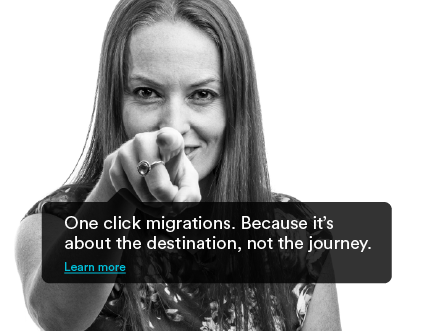 This is game-changing and greatly simplifies new site deployments and site moves, not to mention much simpler ongoing management of sites and the whole network. services are used, along with sophisticated security and exceptional performance. 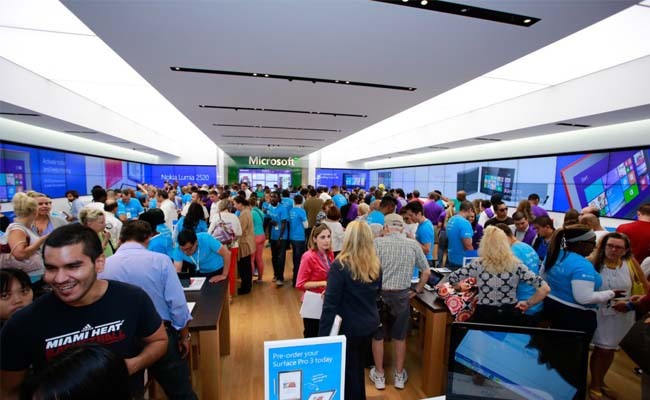 One example is retail, where knowing the exact number and location of shoppers, plus the time they spend in each area, can be correlated to purchases made – providing valuable data in understanding merchandising and buying patterns. We are also seeing growing demand for Wireless in distribution, warehousing, and health & aged care – other industries where knowing the exact location of key items, equipment, or people is important. Finally, the growth in SaaS applications, which by definition are delivered over the Internet, has shifted the application acceleration companies to focus their development on improving application performance across the Internet. reality. This technology burrows through the cloud between user and SaaS provider, and strips out unnecessary traffic, to significantly improve performance. We have had application acceleration across WANs for some years now, delivering as much as 20x performance improvement. This is particularly important for sites in remote parts of Australia, as is typically the case in the mining industry. 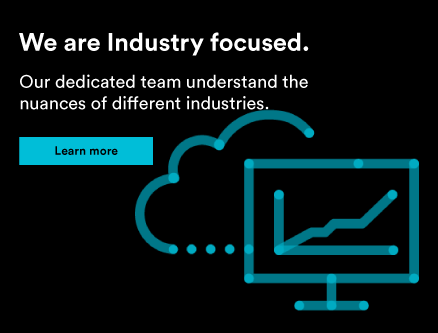 To guarantee the SaaS providers performance, each site only deploys an application accelerator device that talks to a remote device located near the SaaS provider in the cloud. 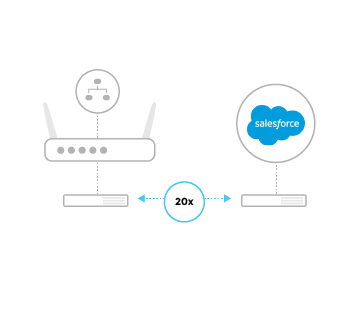 One appliance near each site will greatly improve SaaS performance across all your SaaS applications. With this solution, we address the two fundamental obstacles to SaaS adoption, by providing guaranteed performance and security end-to-end between the site and the SaaS provider and the other locations of the business. requirements over time as you migrate your applications to SaaS providers. Do the exercise to understand the most important SaaS applications you have already, and those you need to add at each site. 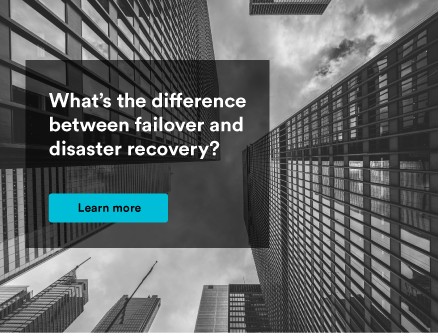 Swap out your old network hardware for the simplified management capabilities and hardware of SD-WAN appliances, assessing the cost and business case per site. Deploy lower cost broadband Internet links to those sites where SaaS applications are most critical, secured by the distributed security in your new site appliances. Roll out application acceleration devices and point them to the critical SaaS applications at those sites. Assess whether your existing WAN stays as is, or should be downscaled or eliminated, based on the decreasing mix of applications served from your in-house data centre. Now you have brought the cloud and those business applications it serves into the heart of your network. cannot justify a fast broadband link. Some sites will be best served with an Internet connection only, and the rest will have a combination of both. 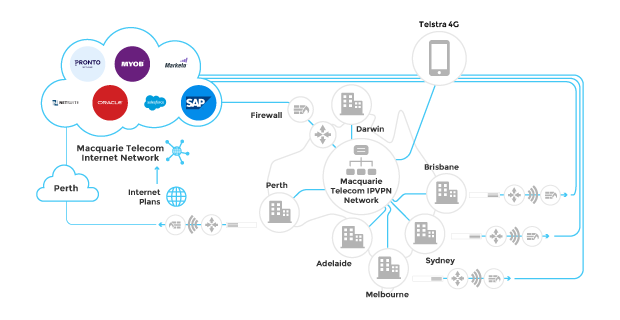 A network like the below that will be better designed to meet your future business application requirements. 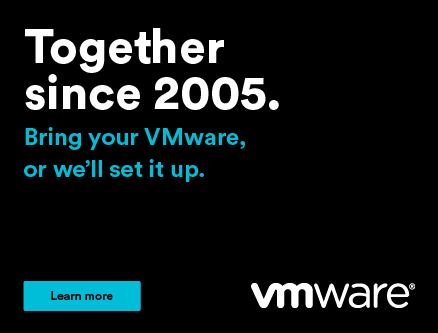 A truly SaaS enabled WAN that will continue to support the future growth of your business. The final question is this: How can we get you on a path to roll out the individual business needs you require? That’s where we can help! Our technical consulting group will help you architect this plan, based on your unique needs and restraints. 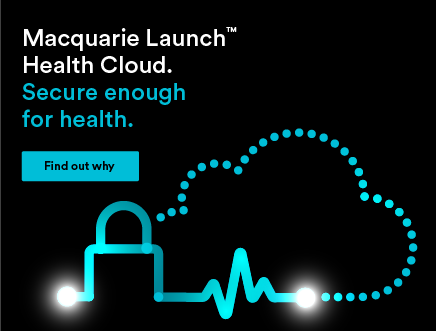 If you’re interested in building a SaaS enabled WAN for your business you can contact us here today to learn more or give us a call on 1800 004 943. You can also download a pdf copy of this blog post by clicking the book image below. We are in the process of creating an infographic around which SaaS applications can open up new revenue streams so if you download a copy of the whitepaper you will be first to hear when it launches.